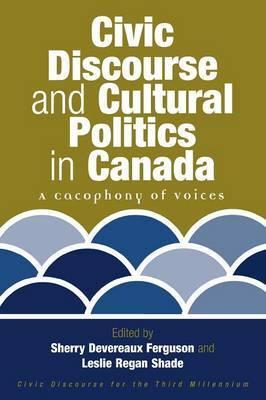 No previous volume has collected as interesting and broad a collection of essays on Canadian discourse and culture. This volume of representative case studies reflects the Canadian experience in terms of discourse, society, and public culture, linking its discussions to larger political and social issues and theories. Topics include: *Constitutional controversies *Cultural sovereignty *Feminist voices *Globalization *Internet issues *Marginalized communities *Nationalism *Nativity Multidisciplinary perspectives from a mix of established and emerging Canadian studies scholars converge in a highly readable, engaging, and unique book that offers a distinctive portrait of a nation not nearly as well understood as its proximity to the United States might suggest.